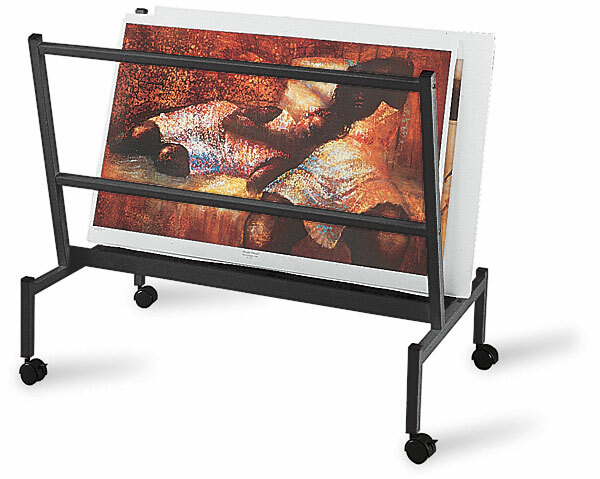 These rugged display bins are designed to hold up to 100 unframed prints, posters, or pieces of art. Use them in galleries, shows, and art fairs. They can display works measuring up to 32" × 40" (approximately 80 cm × 100 cm). Bins are constructed of welded, square, heavy gauge, one-inch steel tubing with powder electrostatic, scratch-resistant black paint. Locking casters provide a sturdy base for reviewing pieces on display. To view a PDF of the assembly instructions and parts list for the Print and Poster Holder, please click here.